Led Zeppelin were an English rock band formed in 1968 and consisting of Jimmy Page (guitar), Robert Plant (vocals, harmonica), John Paul Jones (bass guitar, keyboards, mandolin), and John Bonham (drums). 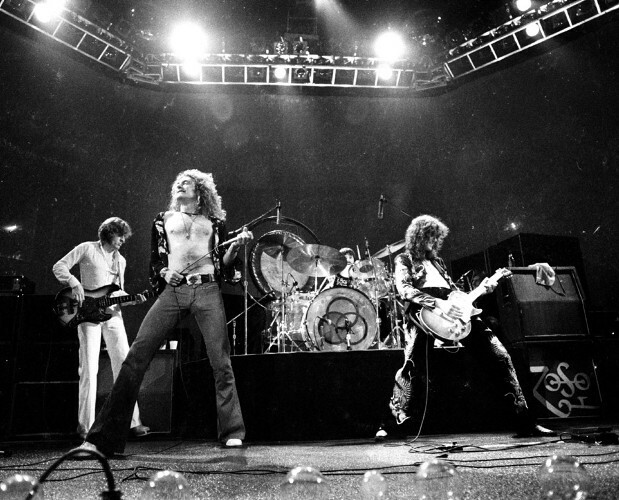 With their heavy, guitar-driven blues-rock sound, Led Zeppelin are regularly cited as one of the progenitors of heavy metal and hard rock music. However, the band's individualistic style drew from many sources and transcends any one genre.